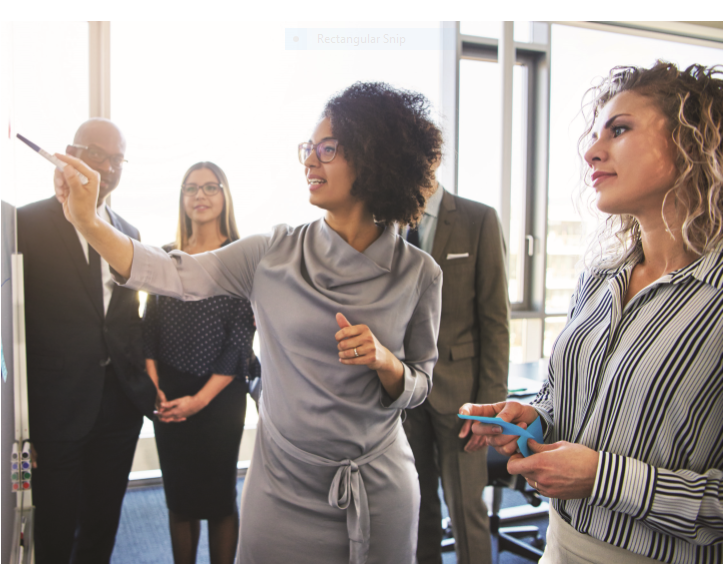 From huddle rooms to boardrooms, companies are restructuring their meeting spaces to meet the new collaborative demands of their businesses and to empower workers to be more productive. 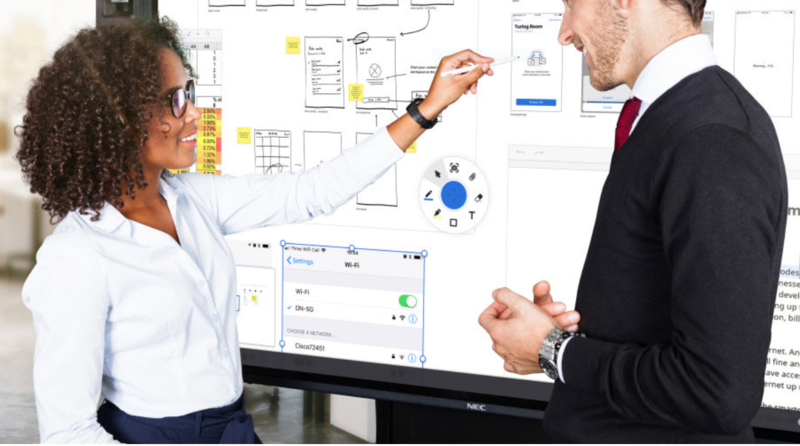 The value in a NEC InfinityBoard solution is outstanding; a powerful and scalable all-in-one resource for team-focused meeting rooms. Custom fit to your application needs – modular approach with Microsoft® Windows 10 IoT Enterprise makes this a highly flexible solution supporting your company specific apps to succeed in your business. Natural writing experience – it’s like working on paper! Whether using finger, pen or palm erasing, the InGlass™ touch technology provides seamless interactive touch performance. Best-in class visual performance – benefit from a pixel-free Ultra-High Definition (UHD) visual performance, available in 55″, 75″ and 86″ in size. Facilitate productive communication – enjoy a dynamic video conferencing experience with the dedicated conferencing camera and superior audio speakers. The tool-box to perform and achieve desired results – Mosaic Hub is the interactive whiteboard, video conferencing and collaboration application, allowing you to maximize the objectives of your meeting. Future-proof PC option and reduced footprint – the Slot-In PC using the integrated OPS option slot future-proofs your investment in performance upgrades while reducing the PC footprint and installation efforts. LightWerks is proud to offer real-time remote collaboration tools. Ask us about how we can help your organization increase productivity and efficiency with solutions.